Interior Illusions’ Roman blinds are specifically designed to provide you with sophisticated and contemporary window furnishing solutions for your home. We source only the best Australian manufacturers who utilise fully automated, 21st century technology and computer controlled sewing systems to create the latest in European design and innovation to give you the most stylish roman blinds in Australia. This cleaner and more efficient production method allows us to guarantee there will be no puckering in our Roman blinds. It doesn’t matter where you are, rain or shine; roman blinds can protect your interiors from the harsh ultraviolet sun rays, while providing insulation from the cold. When you visit our store in Melbourne, you will be immensely impressed with the wide array of roman blinds that we have got. Plus, our roman blinds come in a choice of light filtering or blockout fabrics! Pick and choose the most suitable roman blinds for your home from the vast spectrum of colour choices available at Interior Illusions. Interior Illusions range of roman blinds are all made to last and to help add an alluring charm to your home. Our Serengetti blockout fabrics range is 100% polyester and coated with acrylic foam to make it extra durable, and it also comes in 3000mm widths which makes it great for large windows! If you are looking for more simple roman blind designs, our Metro Shade fabric range will be perfect for you.No matter what your preferences are, our roman blinds will create a lavish and luxurious internal setting whilst helping you to maintain your privacy. 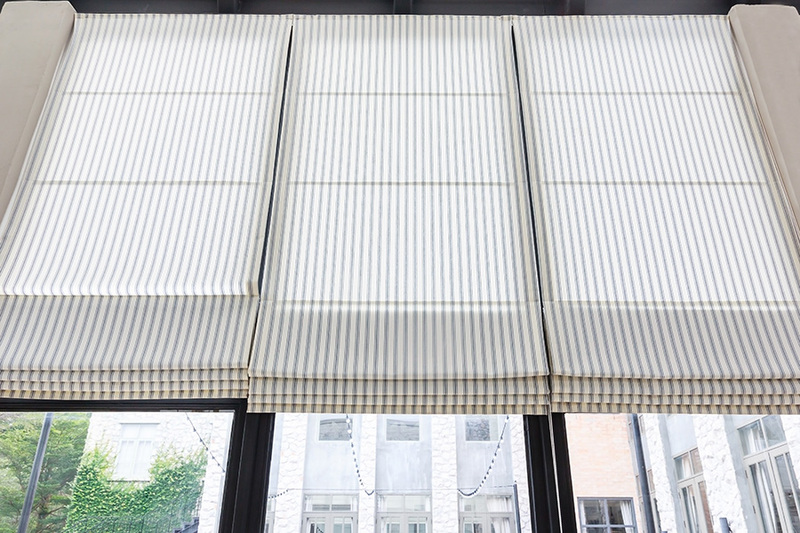 You will also get the option of fitting your roman bilnds with a cord or chain system, both of which functions as light and easy ways to help you operate your roman blinds. All our roman blinds are custom made by Australian manufactures with 12 month warranty.